Claude A. Marcum, born March 17th, 1870 in Arkansas1, was a professional baseball player from 1889-1900 and a professional baseball manager in 1902 and 1914. 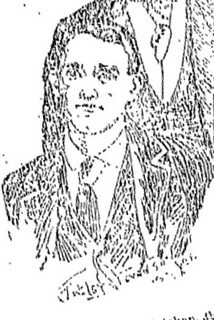 Marcum with St. Joseph in 1893 (The Sporting News, 6/17/1893). 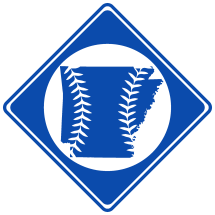 Claude Marcum was most likely born near Bentonville, AR. He grew up in the area as the son of Arbuthnot Marcum and Alexina Smith2. Marcum's baseball career may have begun as early as 1889 with Aspen in the Colorado State League3. In the mid 1890s, he played with the St. Joseph team of the Western Association. He was traded to Cedar Rapids in early 18964. Marcum later lived in Joplin, MO and worked as a painter. He also managed several baseball teams in Joplin. Marcum died January 28th, 1931 in Joplin, MO6.